With a compact carry pistol, shot placement becomes more important than ever. 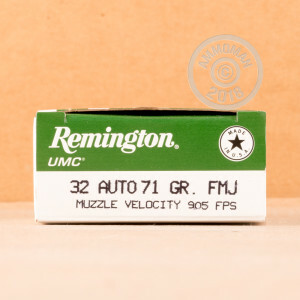 This .32 ACP ammunition from Remington UMC is an affordable way to hone your skills and be ready for a self-defense situation should it ever arise. 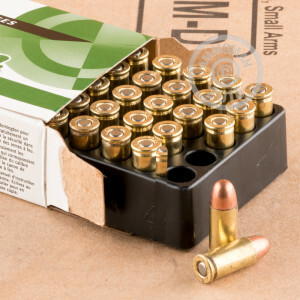 Packaged in boxes of 50, these cartridges fire a 71 grain full metal jacket ("metal case" in Remington jargon) bullet at about 905 feet per second. 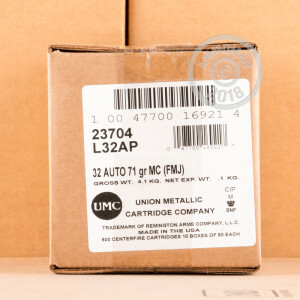 Remington UMC ammunition is assembled in Lonoke, Arkansas and uses non-corrosive Boxer primers and brass cases. For some serious target practice, pick up a few boxes (or any items totaling over $99) at AmmoMan.com and get free shipping!